NewsTo downsize, or not to downsize? It can be a daunting prospect to think about selling the family home, but it is a decision that many decide is the right choice for them once the children have long moved out and the upkeep seems too onerous. However, people don’t often consider the impact this could have on their retirement, according to new research. 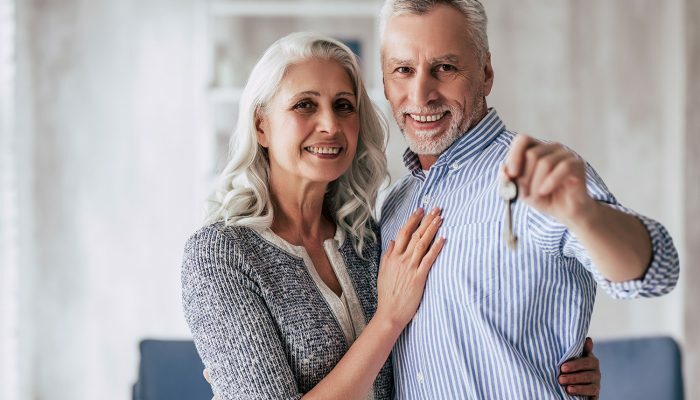 This has revealed that if people have decided to downsize, they could unlock value from their home, providing the often-overlooked solution to helping them achieve a comfortable retirement. The new report found that UK adults would like an annual retirement income of £39,773 to be comfortable in their later years. This is up from £26,184 in 2016. Expectations for larger incomes in later life may stem from retirement savings increasing substantially over this time. The research found that the average size of a pension is up 7% over two years, from £174,555 to £186,617. In keeping with this, UK adults expect to have retirement savings of £215,852 by the time they stop work – up 27% from 2016 – when the expected amount was £169,594. After the State Pension of £8,546 per year, £31,226 per year extra would be needed to meet people’s desired income target of £39,773. At current low annuity rates, this income would need a pension pot of £600,515 for a level annuity. Despite the increase in pensions savings, the bigger increase in expectations for income in retirement has meant that the pensions gap – the shortfall from what people will need to fund their desired lifestyle, if they bought an annuity, and what they expect to have in their pension pot at retirement – has gone up from £370,000 to £385,000 over two years. Post-pension freedoms, there are several options for retirees to consider rather than having to buy an annuity, providing myriad ways for retirees to meet their income goals. For example, the research showed that figures revealed that those choosing to move to a smaller property, or ‘downsizing’, could release a significant amount of capital that could help them achieve the lifestyle in retirement that they really want. Once the children have left home, moving closer to public transport links or to a single-story home can often provide motivation for a move to a smaller property that may be more suitable. Using average UK house prices for homes of different sizes, figures show that the £385,000 shortfall could be significantly plugged if downsizing from a four-bed to a two-bed property. This would immediately increase savings by £287,286, or if invested over five years could be worth nearly enough to fill the gap, at £349,527. If the decision to downsize is made earlier in life, then the funds could be invested over ten years, amounting to £425,253. Despite the benefits of downsizing and increasing retirement savings, 83% of those surveyed said they did not intend to downsize to fund their retirement, increasing to 87% for over-55s. More people said that they plan to fund their retirement by continuing to work, either in their current role (11%) or by taking up a new job (9%), than by downsizing their property. Considering the maximum annual pension contribution per tax year of £40,000, releasing a large amount of cash in one go from downsizing your property would mean only a portion can be invested directly into a pension. However, any money that is invested in this way would benefit from 20% tax relief before any investment return. The remainder can be invested or held in cash based on appropriate advice for that individual. Making the choice to downsize is a monumental life decision that can be unnerving to think about, but it can also have a great financial impact, providing a major boost to your retirement fund. Deciding on the right time to downsize can also be difficult, but the process can be easier if not left too late. Moving to a smaller home nearby will lower the pressures that come with the upkeep and expenditure of a large property while keeping you near to any friends or family who live in the same area. Also, moving wealth from an illiquid asset such as property to a liquid asset such as cash has the added benefit of enabling tax planning, which could reduce any potential Inheritance Tax liability. It can be useful to take emotion out of the equation and try to be as pragmatic as possible – it’s easier said than done, but it can help with some very tough decisions that need to be made. The research showed greater realism about how long it might take to accumulate assets to fund retirement, and what will be needed to reach financial goals in retirement. On average, people would like to retire at age 61, up five years from when the survey was last undertaken in 2016, when this was 56. However, many admit that early retirement is unrealistic, with 67 being the average at which respondents think they will have enough money to stop working, coinciding with the rising State Pension age. Many people are now looking towards a patchwork of savings and assets to fund retirement. While only 17% of people expect to downsize, over one in three (34%) expect to draw on other savings to fund their retirement, and a fifth (20%) expect to at least part-fund their later years by continuing to work. In addition, 14% hope to use inherited money or property. Despite the complexities around optimal financial planning for retirement, 52% of people do not seek advice regarding retirement and do not plan to. This number increases to 70% for retirees, which may be why one in ten (10%) of them still don’t know how they will fund their retirement. Pensions have long been seen as the foundation of retirement saving, but many people now recognise that they will need to draw on other available assets to finance their retirement. The answer used to be to ‘buy an annuity’. Whilst annuities still have a place as one of the few ways to guarantee an income, they are expensive. A successful retirement plan involves making the most of not just your pension, but all your savings, other investments and assets. Clearly, there is a lot to consider, and making the wrong retirement decisions can be costly. Many people approach retirement with little or no idea how much money they will need or the best way to take an income. Obtaining professional financial advice in the lead-up to and at retirement is essential. To discuss your requirements, please contact Touchstone Advisory Limited on + 1 917 810 3140 or email info@touchstoneadvisoryltd.com. Research conducted by Opinium Research amongst 5,000 UK adults between 30 August and 5 September 2018. This assumes a 4% p.a. growth rate with dividends re-invested net of charges and no Capital Gains Tax to pay on the property sale.